A SPATE of drownings has left lifeguards desperate, calling on new migrants and overseas visitors to stay out of the water on unpatrolled beaches. Lifeguards from Coffs Harbour have issued a desperate plea as the search for an Afghan man continues after he went missing from a dangerous, unpatrolled local beach. In a Facebook post, the lifeguards begged people to stay out of waters where beaches were unpatrolled and swim between the flags. The post particularly takes aim at "new migrants and overseas visitors", saying most of the victims of recent drownings on the Coffs Coast were people from overseas, new migrants or non native speakers of English. "What have we got to do? 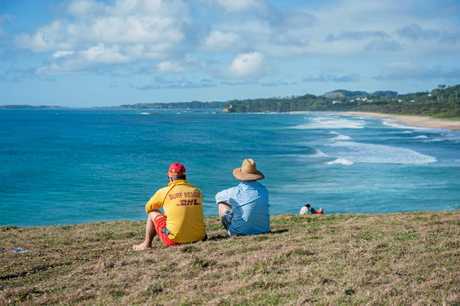 ... another drowning on the Coffs Coast," the post began on the Coffs Harbour Lifeguards Facebook page. "A 26-year old Afghan National drowned this afternoon in a rip current at Woolgoolga Beach. 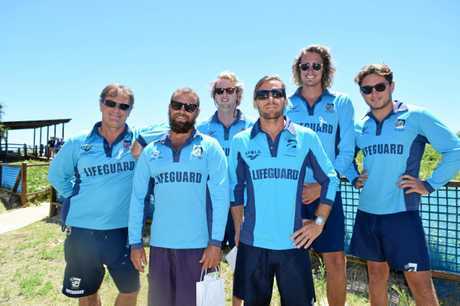 "Coffs Harbour City Council Lifeguards, Surf Life Savers, Marine Rescue, Westpac Rescue Helicopter and Police searched until dark in the hope of finding the person, however unfortunately were unsuccessful. "We are begging people, especially new migrants and overseas visitors to swim between the red and yellow flags. If the flags aren't up ... DON'T GO IN. "If you are unable to see a rip current, DON'T GO IN ... every beach in Australia that experiences waves will have rip currents. "Never attempt a rescue without a flotation device. 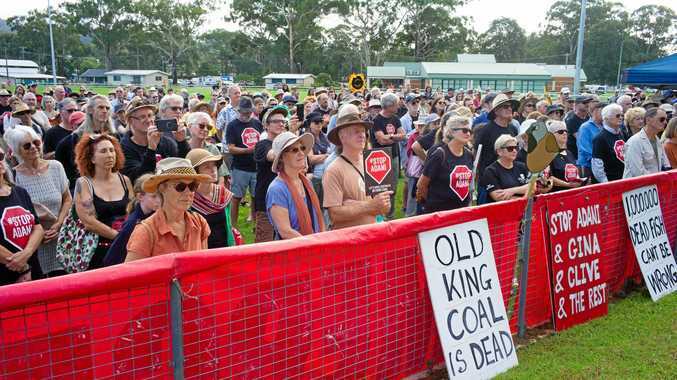 "Out of the previous eight drowning events on the Coffs Coast, seven of them have been new migrants with English as a second language, or overseas visitors." 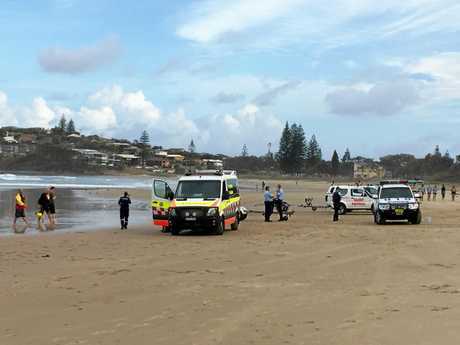 The post was prompted by the feared drowning of a 27-year-old man who was swimming with a 21-year-old woman at Woolgoolga Beach, 30 kms south of Coffs Harbour. The search for the man has continued today. Witnesses on the beach told police he quickly entered difficulty after entering the now famously treacherous surf. Beachgoers entered the water and were able to help the woman to safety, but the man couldn't be found. Searches for him included assistance by local police, Marine Area Command, NSW Ambulance, Surf Lifesavers, Marine Rescue and the Westpac Life Saver Helicopter. Many beaches surrounding Coffs Harbour are unpatrolled for most of the year. This is despite tourism being significant to the beachside city's economy. A follow up comment on the lifeguard's post suggested extra patrols on the beaches would reduce the number of casualties on mid north coast beaches. "I believe that the only way to reduce drowning deaths is a combination of education, information, signs and most importantly Lifeguards/Lifesavers on beaches," the comment said. "Did you know that a recent study in America found that there is a 1 in 18 million chance of drowning at a Lifeguard/Lifesaver patrolled beach?" Mohammad Ghouseuddin, 45 and Syed Rahath, 35 waded into the unpatrolled waters on December 18 at Moonee Beach to assist their three teenage family members. Also with them was Mohammad Abdul Junaid, 28. All three men from the suburb of Auburn drowned. Mr Junaid's body was found two days after he went missing, 150 kms south of Moonee Beach. A Swiss national in his sixties drowned at the same beach the following day. He was pulled from the water by witnesses on December 21 and was unable to be revived. A 22-year-old Queensland man was swept out to sea at the beach at Valla in February last year. He and his friends reportedly got caught in a rip. While his friends managed to make it to shore, Daniel couldn't be found. In 2017 Ali Moswari, a 17-year-old from western Sydney, went missing after being caught in a rip. Her body has never been recovered. In 2016, two men believed to be Asian nationals were dragged out to sea in a rip at the southern end of Park Beach near North Wall. One 30-year-old died at the scene and the other, 28, died in hospital.